Blogs are a powerful medium. A blog gives you a presence, a voice in the online community. This presence could mean big things for your business. 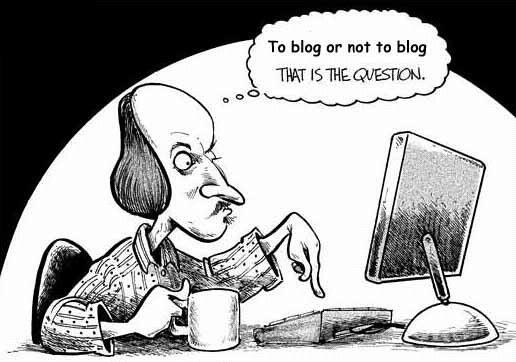 Having a good blog is essential if you are going to have one at all. It is a reflection of you or your company. A blog is a commitment. There is nothing ‘hit-and-quit’ about it. At least there isn’t if you intend to be successful with your blog. Keep in mind when writing a post that the most effective blog posts are a combination of a slide presentation and a magazine article. Keep Content Fresh. Be regular, and be real. If followers can depend on you for regular posts that are regularly interesting, it reflects well on your business. The guy who comes to work in the same clothes for a week straight loses friends, appeal, and favor with the boss. Don’t be that guy. Keep Content Fresh, Part II. Conversely, no one wants to read from a stuffy, formal voice. In addition to being regularly boring, an ultra-lofty tone is dreadfully boring. People will leave. For them, something more exciting could be just a click away. Subtitles. Help them to think about what your telling them. Break it up logically, and let them know what you’re going to say. It lends credibility to your post and your blog. They know you said it on purpose. Plus, people generally respect those that can effectively teach. Lists. If you have a lot of information to deliver, make it into a list. They’re easy to follow, and they’re usually a quick read. Very user-friendly.